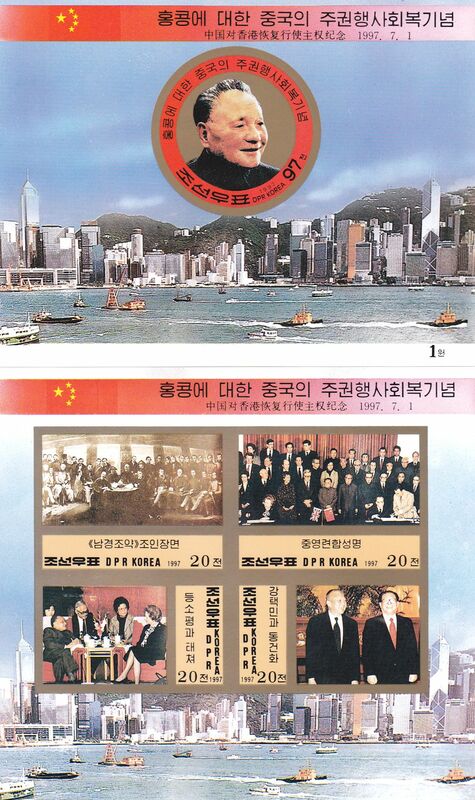 L4680, Korea "Return of Hong Kong to China", Full 2 pcs SS Stamp, Imperforate. MNH, please see the pictures. Full set of 2 pcs: 1 pcs SS with 4 pcs stamps, and 1 Pcs M/S Stamp.